WHILST THE IDEA OF "SINGLE SERVE COFFEE" IN THE AMERICAN MARKET IS NOTHING NEW, THERE IS NO DOUBT THAT THE WAY IT IS BEING CONSUMED HAS CHANGED ENORMOUSLY. The ever evolving popularity of efficient coffee preparation continues to grow with a multitude of coffee capsules now available. They come in many different flavors and varying quantities to give you huge savings. With freshness assured and ease of use, it's the perfect modern way to enjoy the passion of consuming all types of coffee. The idea of "single serve coffee" in the American market is nothing new; however, the way it is being consumed has changed significantly. The growing presence of the Nespresso brand in America has been one of the key catalysts of this shift in consumption trends, which has driven the exponential growth of the single serve coffee sector, making it the fastest growing sector in the coffee industry. The ability for American roasters to now provide their customers with fresh, locally roasted coffee and flavour profiles that are tailored to local consumer palates is another key factor that has prompted growth in this sector. The massive consumer push towards the capsule market has also been encouraged by machine manufacturers, with the introduction of inexpensive coffee capsule machines for the home. With the option to purchase capsule machines for less than $100, access to a "local", real coffee experience is corporate consumer. The consumption of pods and capsules in America is valued at around one billion dollars annually, and there is no doubt that this will continue to grow as educated consumers depart from the shrinking instant coffee market and move into the capsule sector. Nespresso created a highly marketable product when it first introduced Nespresso capsules into the single serve coffee sector. However, evolving consumer taste and consumption habits have created a demand for more "boutique", "specialty" coffee capsules. The convenience that single serve espresso coffee delivers consumers is undeniable, but now consumers demand a "cafe style" experience at home. People just expect better coffee from this format. At a minimum, they want a more boutique, specialty coffee experience at every single service point. They want their favourite coffee brands delivered in capsule form. THIS ENABLES GREATER CONSUMER CHOICE BUT IMPORTANTLY FOR COFFEE ROASTERS. IT ADDS ANOTHER DIMENSION TO THEIR BUSINESS AND COMPLEMENTS THEIR CAFE/WHOLE BEAN PRODUCTS BY OFFERING A SOLUTION TO CUSTOMERS AT HOME AND OUTSIDE OF THE TRADITIONAL CONSUMPTION AVENUES. A Nespresso-compatible system had to be the capsule format of choice given Nespresso's market penetration and the quality of its capsule machines. Being an "open" system means that the specialty coffee brands that consumers want in capsule format can now be delivered. This enables greater consumer choice but importantly for coffee roasters, it adds another dimension to their business and complements their cafe/whole bean products by offering a solution to customers at home and outside of the traditional consumption avenues. Coffee capsule manufacturers have identified this gap in the market and set out to deliver a product that offered this boutique, specialty coffee experience. They have invested in the right infrastructure, implemented robust quality controls, adopted the right processes and most importantly, secured quality technology to deliver a product that the brand partners are excited to associate with and put their brand to. The goal, as a capsule manufacturer, is to ensure that the products reflect optimum freshness and quality. Delivering the most comprehensive and flexible capsule packing solutions to customers by offering two Nespresso compatible capsule formats - the traditional foil over-wrapped capsule and the soon to be launched hermetically-sealed capsule. Production of the foil over-wrapped capsule has been overwhelmingly positive. 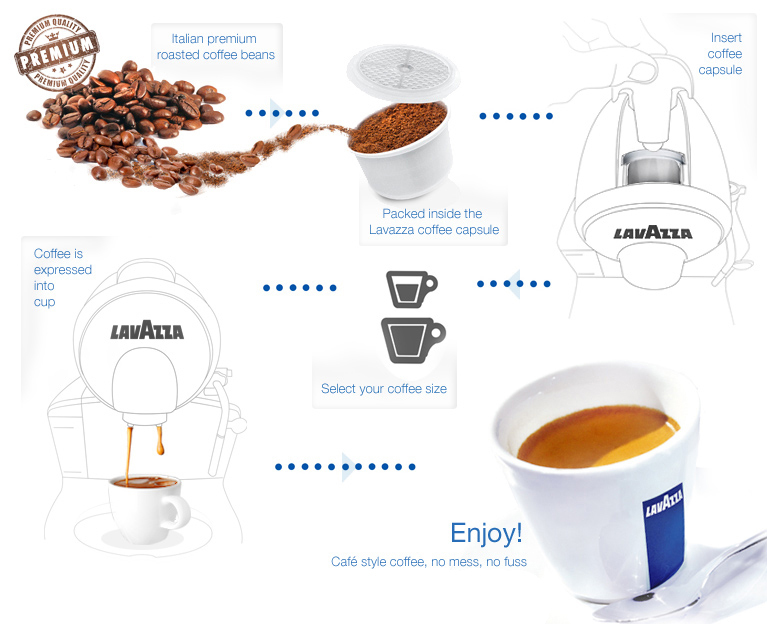 It delivers an outstanding cup of coffee and provides an excellent solution for domestic and commercial use. Similar to the upcoming hermetically sealed capsule, it also has an 18 month shelf life, which is achieved through the unique nitrogen flushing technique employed during the capsule filling process. This year will see the launch of new hermetically-sealed capsules. The capsule has all the right properties needed to ensure optimum freshness by providing an oxygen barrier for the coffee in order to deliver an exceptional cup whilst also being an aesthetically pleasing, retail friendly capsule solution that is more environmentally sustainable. Coffee capsules provide a holistic and flexible service offering extensive expertise every step of the way. The manufacturing facility houses all our roasting and capsulation equipment under one roof, meaning a variety of packaging solutions, tailored to our customers needs. SOLUTION: Our full capsulation, turn key, solution covers every step of the process from green bean procurement and blend profiling through to packing and delivery. PRE-ROASTED COFFEE PACKAGING SOLUTIONS: The setup also allows accepting pre-roasted coffee and using water-cooled roller mills to provide a quality grinding process that then transfers ground coffee across to our capsule machines for packing. PRIVATE LABEL SOLUTION: Realising a number of customers wanted a more streamlined approach, five quality house blends were developed that can be used as a white label or private label solution. Whilst the manufacturing process is of critical importance, there is a necessity in providing flexible packaging solutions and supporting customers through the branding exercise. As such providing a range of flexible packaging solutions that can be customised to meet any requirements. Everything is available from bulk solutions in our foil overwrap capsule format to shelf ready outer cartons in the hermetically-sealed capsule format. 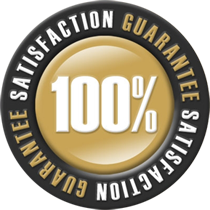 Also offered to customers the ability to customise certain features of their capsule such as foil seals and inner and outer cartons, because we know a "one size fits all approach" is not suitable for our customers. "Coffee Pod Cup to Cup Consistency"
Coffee pods - capsules and bags can efficiently both reduce the time required to traditionally brew coffee and also simplify the brewing process by eliminating waste typical with having to measure out portions manually, flavorings, and additives from large bulky containers. Now you can buy coffee pods that help retain flavor by keeping the unused product fresher by individually packaging portions separately without having the issue of exposing the entire supply batch to air, light and moisture. The paper style coffee pods can be functionally identical to the plastic and metal type coffee capsules, "if" the paper pods are individually sealed in separate bags. Buy coffee capsules online and enjoy the improved freshness. Coffee pods for sale (also referred to as coffee pads) consist of pre-packaged ground coffee beans in their own filter. In certain non-English speaking countries, such as Germany and The Netherlands (plus some others), the word "pad" is used typically instead of the word "pod". The fresh, rich flavors that embody the freshly roasted coffee beans are highly volatile, especially with the premium coffee products. Coffee is also an organic product, inconsistent and deteriorating over time by nature. This is where the coffee pod proves it's worth with improved freshness through specialized and convenient single serve packaging. Most cafes unfortunately counter the freshness issue by the use of bulk usage to retain profits. With Espresso coffee pods, each pod is individually sealed in nitrogen to retard the deterioration of freshness and flavor over time (up to 2 years). This coffee pod packing technology also used to pack potato crisps. A proven packing method for food products that have freshness measured in hours/minutes. An advanced super grinder, with refrigerated grindstones is used to grind the coffee beans prior to sealing in the coffee pods. A very fine grind can be achieved without any heat transfer negating burning of the coffee beans thus retaining its fresh natural flavor. The paper that encases the coffee also within the pod serves as a very fine filter. The combination yields a coffee purity with no residue and a full rich flavor. There are many technical variables associated with the espresso coffee making process such as the level of grind, measured dose, tamp pressure, raw coffee batch, multiple operator techniques, daily humidity levels (which can swell coffee beans) etc... With your espresso coffee pods and standard coffee pods, the freshness and flavor are always consistent. This is true to all coffee pod varieties where you can be assured, your next coffee brew will taste as good as the last. "Coffee Pod Cup to Cup Variety"
No matter how good your coffee is, it's human nature that we are going to want a change. It's also human nature that not everyone is actually going to like the same brand and/or blend of coffee product. With a traditional coffee brewing system, change means re-setting the grind levels, adjusting dose and tamp and/or multiple grinders. Espresso pods and standard coffee pods are specifically designed for cup to cup variety. Commercial pod systems cost less to purchase (no coffee grinder cost and maintenance, smaller environmental and physical footprint), cost less to maintain comparatively (less wear/tear parts), cost less to clean (the pods go in and out intact). Lower operating costs (no/little staff training). No coffee spoilage or waste. Faster throughput. Get your coffee pods here today and save up to 40% at our coffee pod shop.